This is the child care arm of the Methodist Church (formerly known as NCH or National Children’s Home) which cares for families and children who are facing particular difficulties. It also conducts research into the needs of families and children at risk. Although it has this close link with the Methodist Church all its projects are multi-cultural and multi-racial. 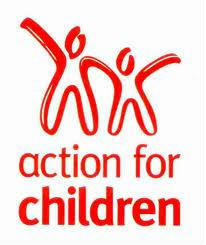 For more information visit www.actionforchildren.org.uk. We have an Action for Children committee at Surbiton Hill which works to raise money for this, one of the largest child care agencies in the UK, while also seeking to increase awareness amongst members and friends of the importance of the work the charity carries out. The committee organises several fund-raising events a year and also supports events organised by the charity itself or by other churches. We would like to thank everyone for their continuing generous support of our fundraising activities and also for all direct contributions.